Chad Blythe says a few months ago his son Logan was one step away from becoming an Eagle Scout – the highest rank in the Boy Scouts. But now, Logan “doesn’t even want to touch his scout uniform” after a controversial decision by the group. Becoming an Eagle Scout is a lifelong commitment. To qualify, scouts have to learn the skills to earn a certain number of merit badges, then complete a major volunteer project. When Logan finally qualified for the rank, his dad helped him plan a very meaningful project: making kits for parents of newborns with disabilities. The local scout group and the state parks department both signed off on the project. So Chad was “flabbergasted” when the Scouts’ national headquarters rejected the plan. “We went through, got that approved, even got some pictures with the council members that approved it,” Chad told Metro. Chad says there was only one reason why his son’s project wasn’t approved: his disability. Chad says he and Logan attended a meeting weeks later to sort out their problems with the scouts. But the organization delivered even more bad news: Logan was being stripped of all his badges and ranks, basically kicking him back down to Cub Scouts. They say that Logan didn’t meet the requirements for his badges because he used outside help. 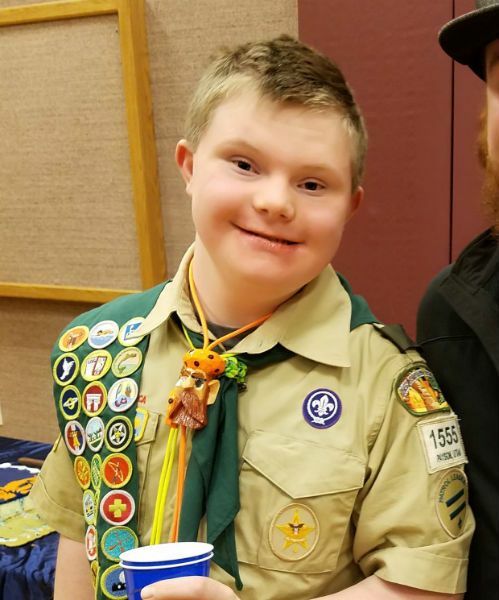 The problem, according to Chad, is that the Boy Scouts don’t account for Chad’s disability. “[Boy Scouts of America] has more than 100 merit badges that can be earned. Those with proven disabilities can substitute 1 badge for another,” he explained on Facebook. Because Logan has trouble performing actions on command, he can’t complete any of the required skill tests without help. Chad says that his son has been very upset since the scouts made their decision. “His face was just dejected. He doesn’t like taking about it, hearing about it, or seeing us upset about it,” Chad explained. To fight back, Chad has announced a lawsuit against the Boy Scouts. But he’s not looking for a huge payday. Chad says he’s filing a lawsuit against the Boy Scouts of America, but only for $1. He just wants the group to update their requirements so disabled children like Logan can participate. Chad says the decision stings, especially because the scouts have been so inclusive to girls and transgender scouts in recent years. Update: Weeks after announcing the lawsuit, Chad shared the good news that the Boy Scouts had reversed their decision! The change of heart came as Logan and his father were invited to a special meeting with the group’s national commissioner. 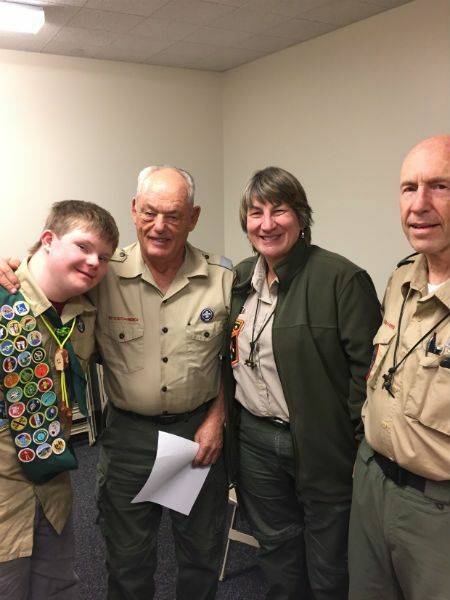 Following the reversal, Logan’s 22 badges were returned to him, and the group announced they would create a special path for him to earn the Eagle Scout rank. Congratulations to Logan for winning his fight!